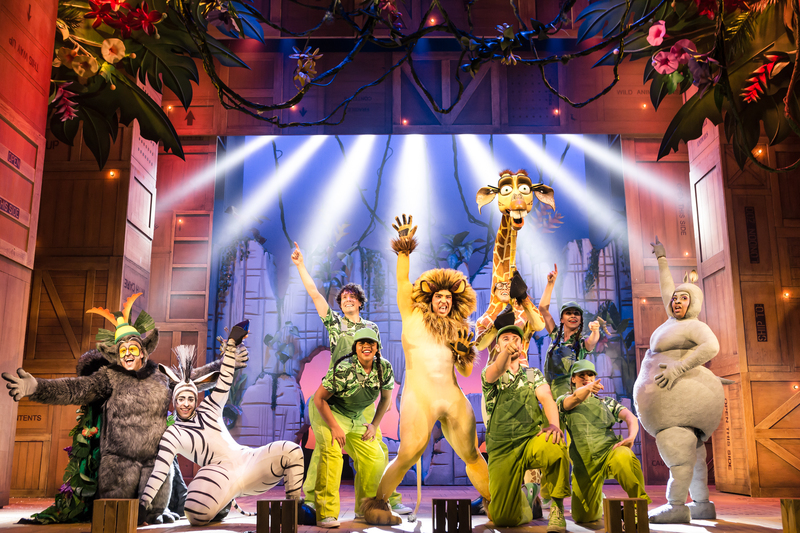 Madagascar The Musical is touring with a stage version of the well-loved film and roared into Birmingham starring X-Factor winner Matt Terry. Matt Terry stars as Alex the Lion in Madagascar the Musical, which is at New Alexandra Theatre in Birmingham until 4 August. 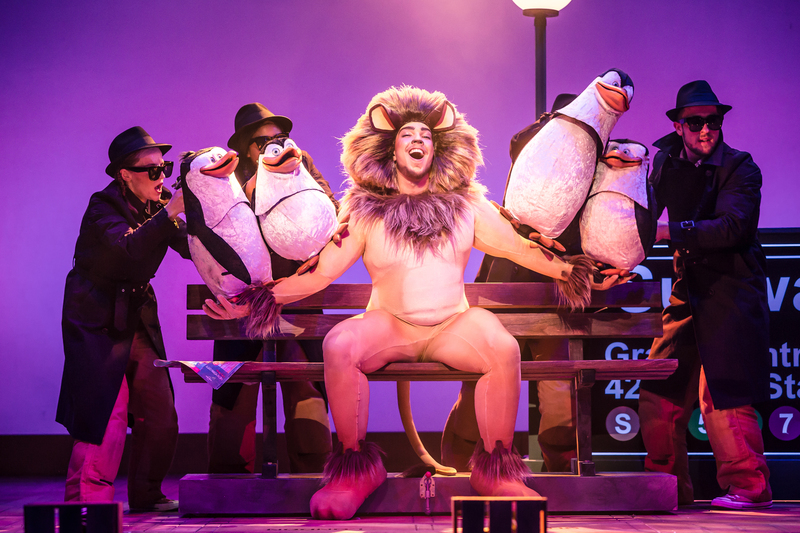 It's Matt's acting debut but he certainly puts on an energetic performance as king of the urban jungle and has mastered the art of flossing, much to the joy of all the younger members of the audience. You are in for a treat but if you want to see Matt, he leaps along with the cast only in certain performances. He starred in the Tuesday 31 July show that I saw and continues in the role until Thursday 2 August. He then hands over the roars to an understudy until the final day of Saturday 4 August. For those of you who haven't seen the DreamWorks film that came out in 2005, then you don't know what you're missing. The hilarious tale begins at New York's Central Park Zoo where Alex the Lion and his best friends Marty the Zebra, Melman the Giraffe and Gloria the Hippo have spent their whole lives being admired and fed. 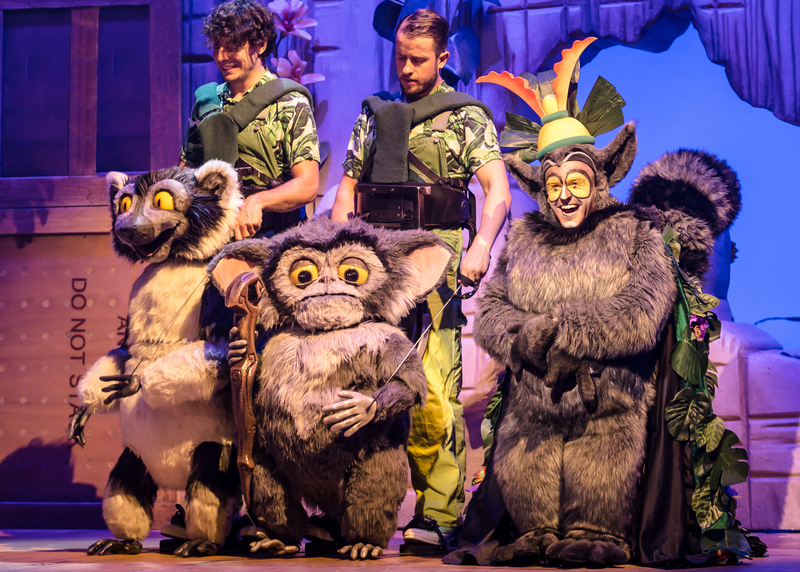 Based on the children's film, this show features puppets and actors. Marty (Antoine Murray-Straughan) enjoys his 10th birthday celebrations then with some encouragement from some adventure hungry penguins, decides to escape the zoo and explore the world. That is after putting a rectal thermometer in his mouth. So after a chase through New Yzookeepershe zoo keepers track down the escapees and ship them all off to a different zoo before the penguins hijack the boat and they all end up in Madagascar - where King Julien resides on the throne. This crazy adventure, directed by award-winning Kirk Jameson with choreography from Fabian Aloise, really explodes into life in the second act, where the performance of 'Move It, Move It' gets everyone jiggling in their seats. King Julien, played by Jo Parsons is also the resident director and you couldn't help but laugh at his waddling. X Factor star Matt Terry is part of the cast. Melman (Jamie Lee-Morgan) helps Gloria (Timmika Ramsay) rescue Marty from being eaten by Alex as hunger gets the better of him and the dastardly penguins ditch the Antarctica for warmer climates. Madagascar the Musical is definitely lots of fun with a funky score and energetic performances by all humans and puppets. So my advice is stop monkeying around and hop aboard this ferocious, fun adventure.